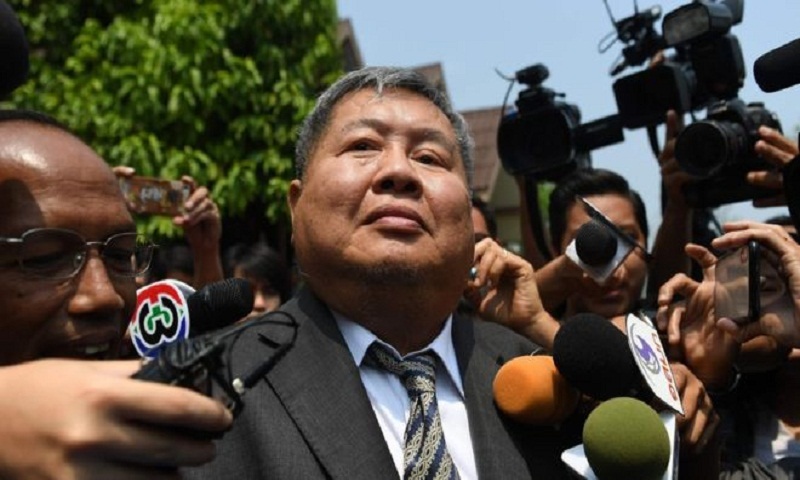 The head of one of Thailand's largest construction firms has been sentenced to 16 months in jail on three poaching charges but is free pending an appeal. Premchai Karnasuta was caught with hunting gear and animal carcasses, including a black panther, in a protected sanctuary in February 2018. Three of his employees, but not Premchai, were found guilty on Tuesday of possessing the panther carcass. The case had sparked an outcry over the impunity of the rich and powerful. Premchai is head of Italian-Thai Development, a Bangkok-based firm that helped build the capital's Suvarnabhumi airport and Skytrain rail link. The high-profile case has been closely followed in Thailand, where convictions for poaching happen often but rarely when it comes to prominent people. The 64-year-old was found guilty of possessing the carcass of a Kalij pheasant and firearms in public areas, and supporting others to hunt in a protected wildlife sanctuary. His cook and driver were given lesser sentences, while his hunting guide was the only one found guilty of hunting and was sentenced to three years and five months. Premchai was granted bail of 400,000 baht (£9,500, $12,600) as the court did not consider him a flight risk. Park rangers arrested the construction magnate after finding him and three others camped at Thungyai Naresuan national park. The men were found with three rifles, 143 bullets and other hunting tools, and a slain black panther, Kalij pheasant and barking deer - all protected species under Thai conservation law. The wildlife sanctuary in western Thailand is home to wild elephants, tigers and many endangered species, according to Thailand's Wildlife Friends Foundation.